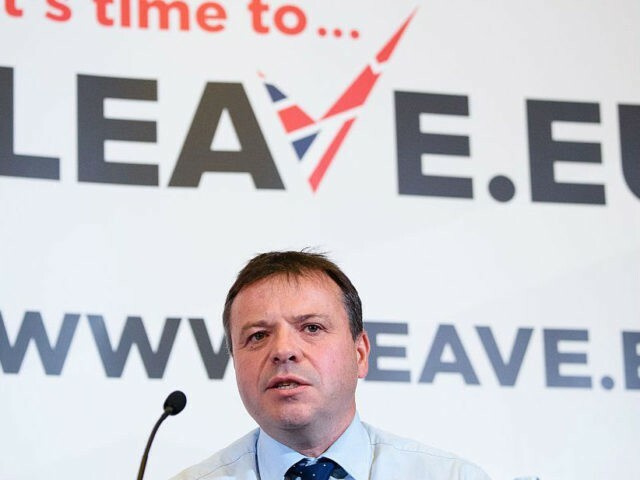 The group’s leader, former UKIP donor Arron Banks responded, calling the Commission as a “Blairite Swamp Creation” and promised to fight claim they breached electoral law in court. The fine was a “politically motivated attack on Brexit and the 17.4 million people who defied the establishment to vote for an independent Britain,” he said. They also claim the commission is biased, point out that that it’s chair, Sir John Holmes, has said Brexit Campaign “was a panoply of Eurosceptic nonsense” and other members of the theoretically impartial commission have implied Brexit can be reversed. It has previously been reported that half of Commission’s members have potential conflicts of interest in regard to the EU and that 40 per cent of them have displayed a bias towards a pro-EU position. Leave.EU is far from the only group accused of breaking spending rules by the Commission ahead of the referendum. The pro-EU European Movement UK and UKIP have also been fined over their referendum spending. The Liberal Democrats were found in breach of rules and were fined £18,000 by the Commission last year. Both the Tory party and Labour have also been fined in recent years for breaking ruled in general election campaigns. Meanwhile, the commission could not link Leave.EU to other popular anti-Brexit narratives, admitting they probably did not work with the company Cambridge Analytica during the referendum. “The investigation found no evidence that Leave.EU received donations or paid-for services from Cambridge Analytica for its referendum campaigning and found that the relationship did not develop beyond initial scoping work,” they wrote.